Katie Blaha (@Katie_Blaha) is the alumni and special events coordinator at McDonogh School in Owings Mills, Md. Lindsay Young (@JaneBay1873) is the assistant director of The McDonogh Fund at McDonogh School. This year, one of McDonogh School’s longstanding and generous donors, class of 1948 alumnus Henry A. Rosenberg Jr., issued a giving challenge to young alumni (the classes of 1993-2012). The challenge? Rosenberg will contribute $25,000 to The McDonogh Fund if 25 percent of young alumni from 1993 to 2012 contribute to the school’s annual fund. Last year, they reached 21 percent participation, so a 4 percent jump by the end of June presents a real challenge. With 15 percent participation at the end of March (totaling 353 young alumni donors), we knew we needed to get creative…and fast. Our quarterly mailings and emailed videos are fantastic, but they are falling short with our young alumni. Traditional solicitations were just not reaching our youngest donors in a way that motivated them to give. We need to engage this group on their terms. As millennials ourselves, we know our young alumni live on social media channels. We wake up and check Facebook. We check Twitter before email. But, as the content providers for The McDonogh School Alumni social media pages, we also understood that our idea to solicit our constituents via social media could pose a problem. Social media is about cultivation, stewardship, connections and relationship-building, so the notion of asking for gifts on Facebook is tricky. Young alumni follow our social media pages for fun and to stay connected, right? Using social media to promote our annual fund, giving challenges, or even whisper an ask is something we tended to avoid. Do the millennials want their “fun” interrupted with pleas for money? 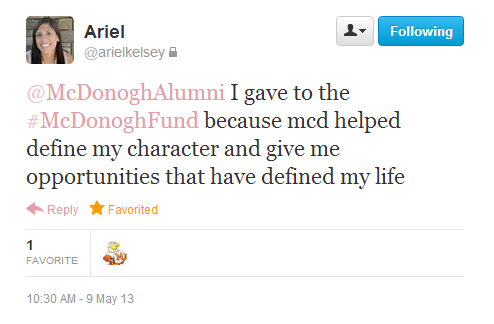 Would mixing the business of The McDonogh Fund with the pleasure of social media posts alienate our followers? The clock was ticking, and we still needed almost 250 new donors to reach our goal of 25 percent participation. So, how could we make a compelling giving appeal on social media without pushing away prospective, young alumni donors? By making a fun, immersive and fulfilling experience for them. We knew our Facebook, Twitter, and Instagram pages could help us do what phone call or email could not—go viral. To achieve viral status and ignite excitement, we needed help. We contacted our class agents (volunteers who call their classmates in support of The McDonogh Fund) and encouraged them to help share our message. 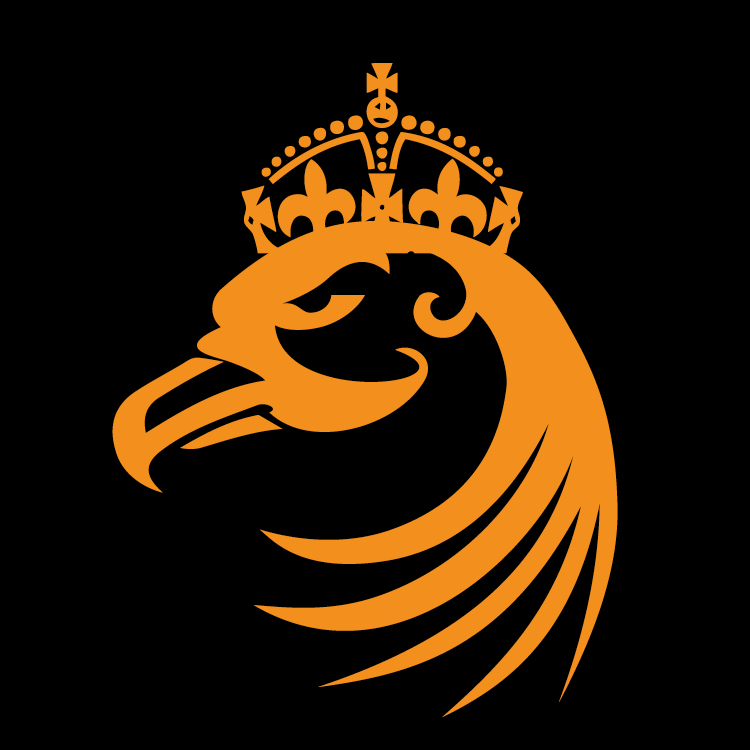 We changed our Twitter avatar, Facebook photo and cover page to an eagle with a crown. Then we encouraged alumni to do the same. And, if they shared our photos or content, they would be entered into a drawing for a prize. Prizes included McDonogh swag items and trendy activities like stand-up paddle boarding or a brewery tour. We posted to Facebook hourly and at least twice per hour on Twitter, educating our young alumni about The McDonogh Fund and including the link to our giving page in every post. Whether it was a tweet encouraging other alumni to give using the #mcdonoghfund hashtag or sharing one of the four videos we posted throughout the day, our Twitter handle was being mentioned at a record rate and our Facebook notifications followed suit. We ended Eagle Day with a record-breaking 90 gifts from young alumni, totaling $6,845. The average gift was $76—we had 11 first time donors and 17 donors who increased their gifts over last year. Participation increased to 20 percent on Eagle Day and although we did not hit 25 percent, we made tremendous headway and the momentum continues. Now we are going in to June with 23 percent participation and 30 days to reach our goal! Young alumni responded positively to Eagle Day and were comfortable taking ownership of their support on social media. Offering incentives and prizes jump-started the allure of giving, but seeing the genuine comments, posts and shares made the experience more exciting. Interestingly, our fear of losing followers was squashed when we actually gained audiences on all of our social media pages. Keeping the experience short and sweet was the way to go, and social media offered a unique and fun forum to spread the annual fund mission. For McDonogh, it ended up being the perfect way to mix business with pleasure. Our Eagle Day avatar we used on May 9 to help promote our 24 hour campaign! Our Keep Calm and Eagle On Facebook cover photo we had created just for May 9! We encouraged our alumni to change their profile/cover photos to the same-and they did! 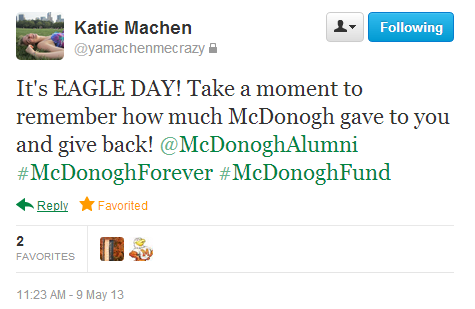 Another great Tweet from a young alum encouraging others to give on Eagle Day!